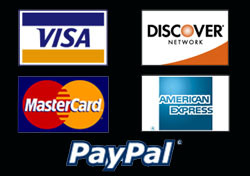 A charge of $49.99 is required when ordering this item. 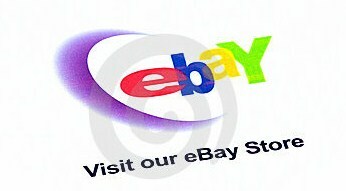 The balance due when this item is in stock will be $350.00 plus shipping. 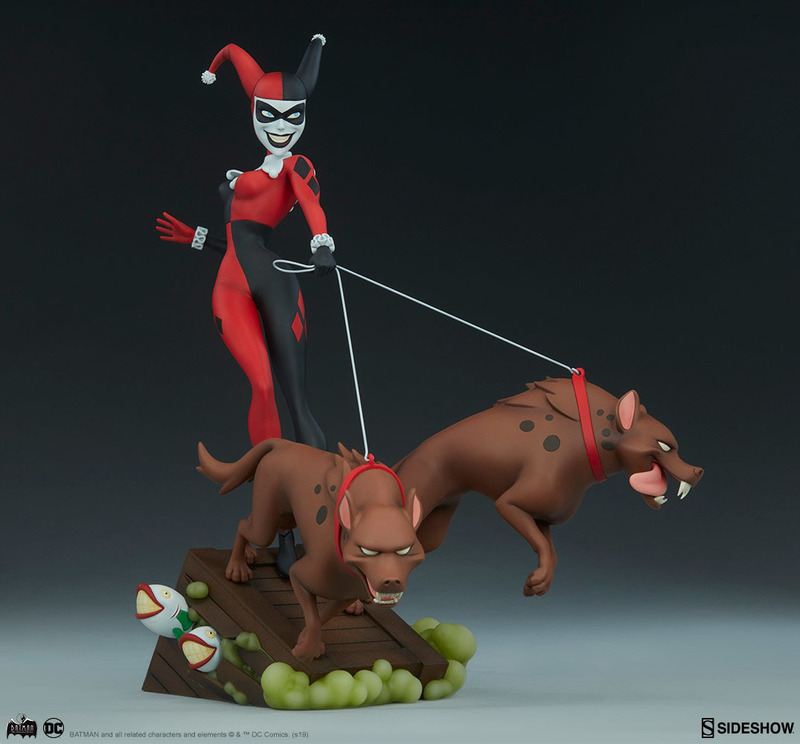 Sideshow presents the Harley Quinn Statue, the next DC Comics collectible busting her way into the Animated Series Collection. 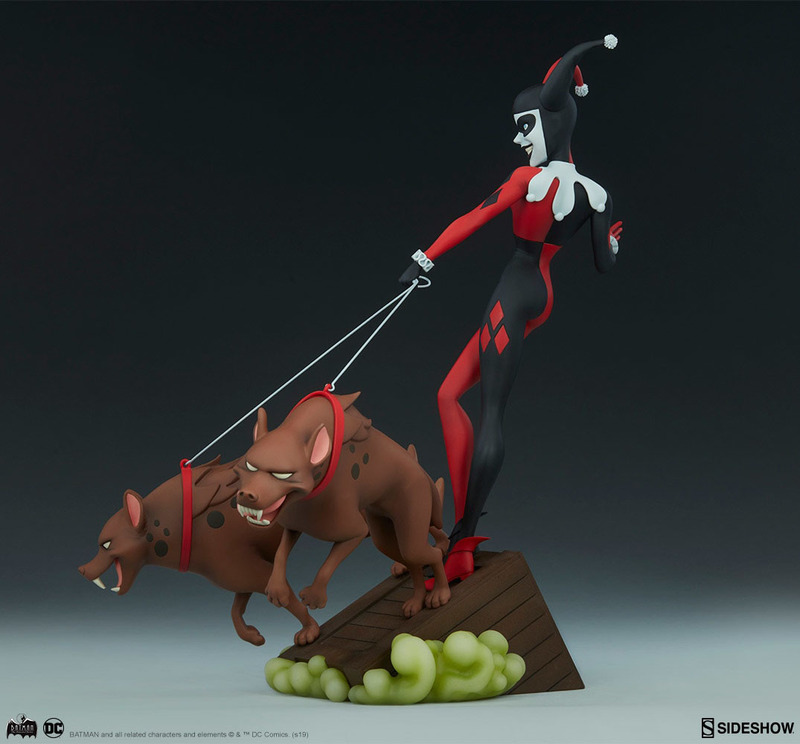 Inspired by Harley Quinn’s iconic animated appearance, this dynamic collectible captures Gotham’s Maid of Mischief with her darling hyenas in a beloved art style. 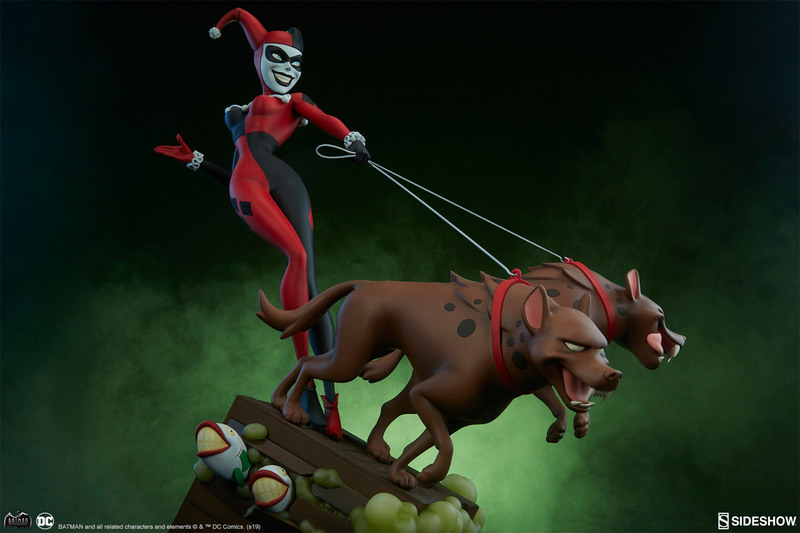 The Harley Quinn Statue measures 16.25” tall as Harley ramps down a crate bursting with Joker Fish and laughing gas. Pulled along by Bud and Lou, The Joker’s best girl is out for a night on the town, causing chaos wherever she goes! 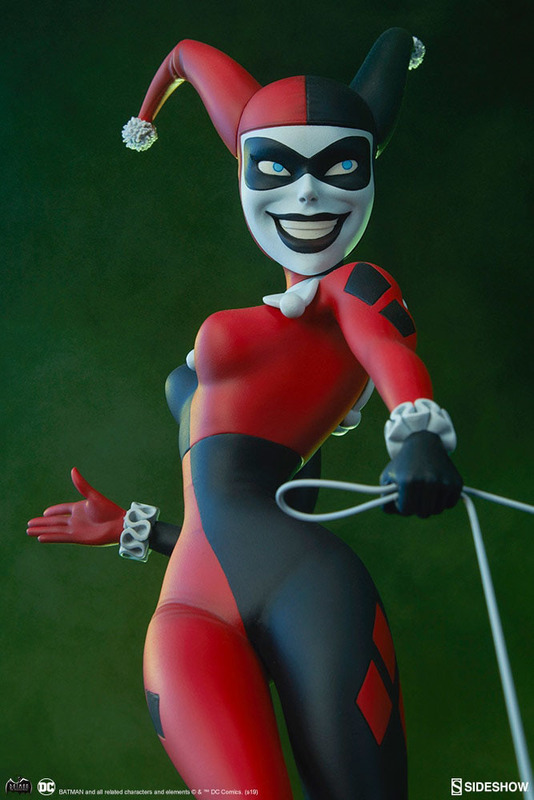 The resin Harley Quinn Statue features a sculpted costume in her signature red, black, and white color scheme, detailed Harley’s trademark diamond cut patterns and sculpted white ruffs. 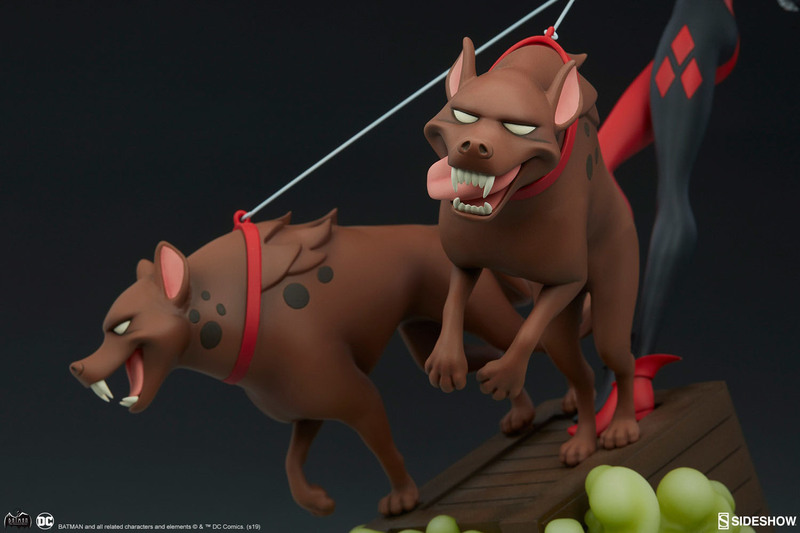 This stylized statue is bursting with energy and animated movement, from the tip of her jester’s hood to the lolling tongues and flying fur of her pet hyenas. 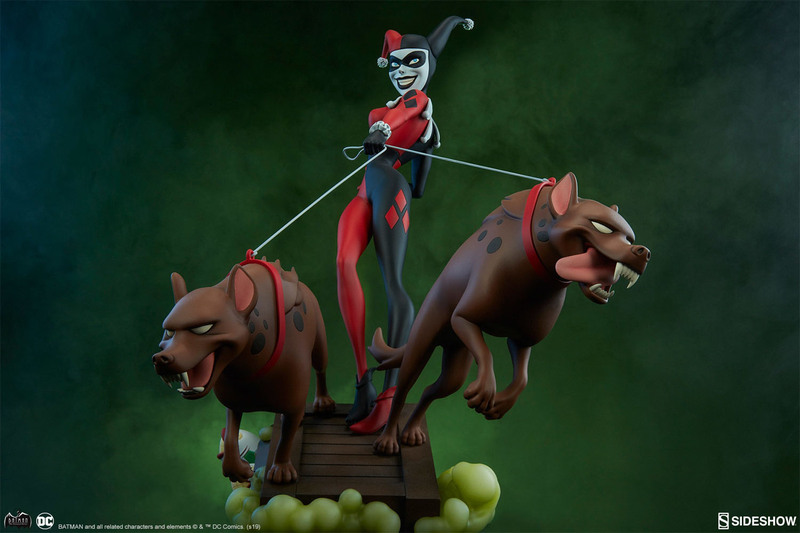 Rev up your DC Comics collection and order the Harley Quinn Statue today. 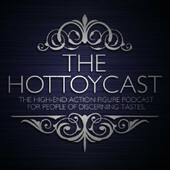 This Statue is Due Out in the 1st Quarter of 2020.